I was asked to try out these Sweetcorn Bites by Barfoots of Botley. 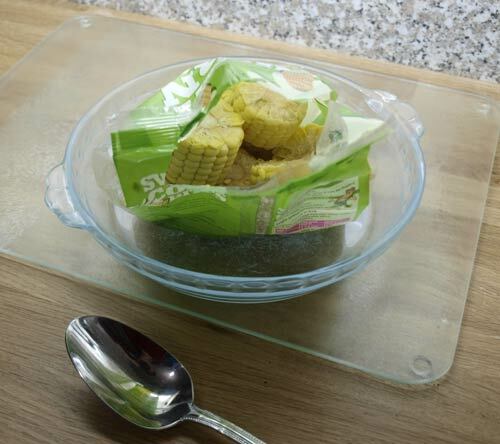 I wasn't quite sure what Sweetcorn Bites were going to be, but it turns out that they are, quite simply, sliced up corncobs packaged up in a bag ready to put into the microwave. 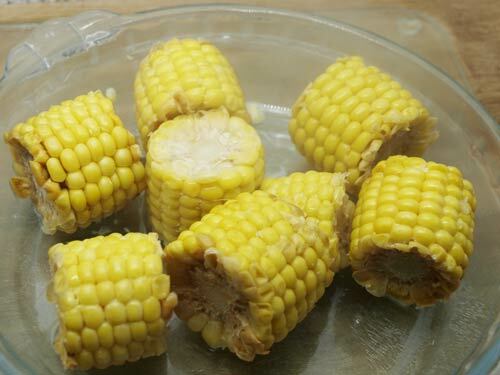 It was certainly very simple to prepare the corn cobs. Cut open the bag, add one tablespoon of water, then microwave for around 4 minutes, depending on the power of your microwave. The Sweetcorn Bites were tasty enough, although I have tasted better sweetcorn particularly when it is UK grown and in season. These cobs came from Senegal, which seems a very long way to import your vegetables. * On the positive side, they were quick and easy, would be ideal to encourage older children and teenagers to eat vegetables as a snack because they are so quick and easy to make. You can also steam, roast and boil the cobs to prepare. They would be great for an impromptu barbeque when you don't want to spend too much time preparing. * I asked Kelly for some more information about the sourcing of the sweetcorn and here is what she told me: Just to hopefully allay some of your concerns, all of Barfoot’s growers are accredited and have numerous ethical credentials. 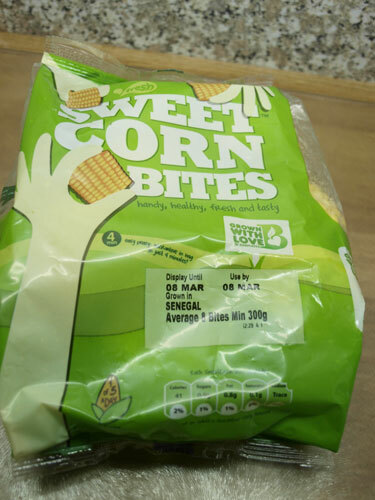 Sweetcorn Bites are grown on the south coast of England when in season and they move to the Senegal produce when import season begins. They work particularly closely with Senegal having invested in local infrastructure and cross-board integration with SCL farms. The Sweetcorn Bites product is made on a British Farm all year – as whether the sweetcorn is picked in adjacent fields or from their global supply base it all goes through the same production process on the Barfoot’s farm site. I was supplied with the Sweetcorn Bites by Barfoots of Botley, this post represents my honest opinion of the product. Thanks for solving the mystery for me, Janice!